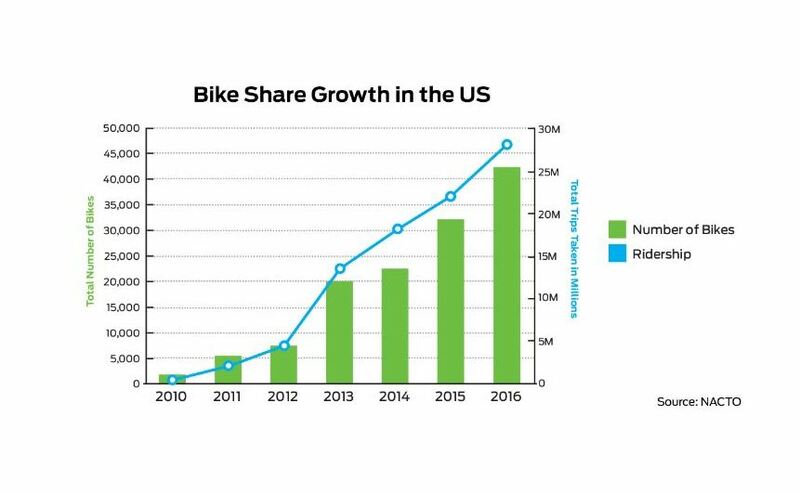 New data released by the National Association of City Transport Officials has shown U.S. bike share ridership rates have exploded in just 6 years, accounting for 88 million trips. Back in 2010 when availability began to properly emerge in select cities, just 320,000 trips were counted in one year. In 2013 with the debut of New York’s Citi Bike scheme trips jumped from 4.5 million right the way to 13 million. 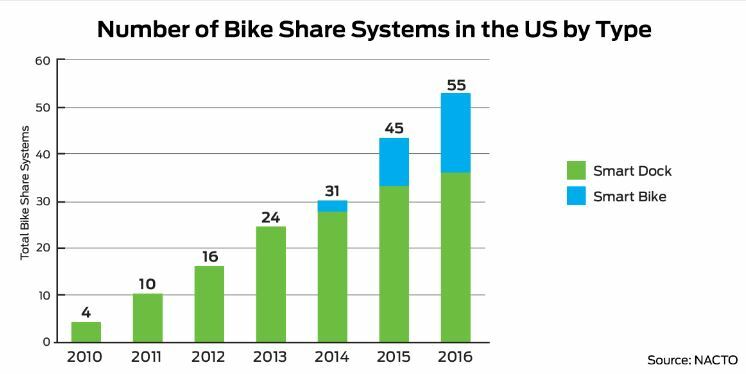 A combined count of America’s schemes at the end of 2016 showed some 28 million trips had been undertaken by bike share – 25% up YOY. 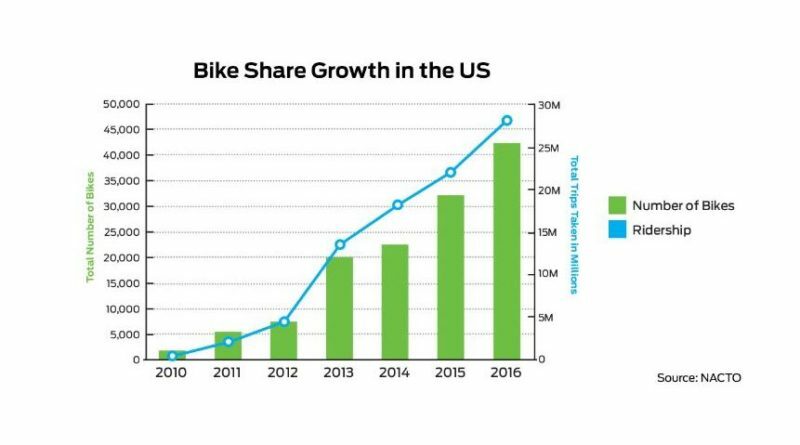 At 28 million, NACTO outlines that bike share is now carrying more people than the Amtrak system and has become more popular than the visitor numbers pulled in by Walt Disney World annually. Citi Bike remains the largest bike share scheme in the country, which now boasts 55 hire schemes offering 42,000 bikes nationwide and growing. In 2016 CitiBike’s scheme added 40%, accounting for 16 million trips. For 2017 another 2,000 bikes will be added taking the fleet to 12,000. 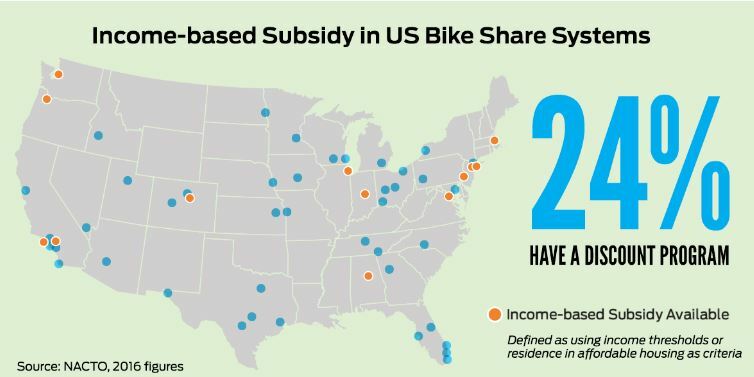 Over in Houston, the local scheme is to triple in size to over 100 docking stations, while on the west coast San Francisco’s Bay Area will leap from 700 to 7,000 bikes. 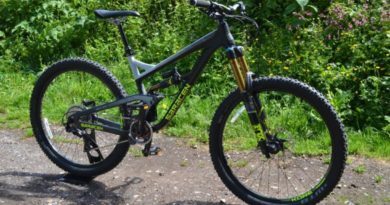 The number of share schemes, defined as publicly-available with 10 or more stations and 100 bikes, has increased year-over-year, from four in 2010 to 55 systems in 2016. 80% of the schemes that have operated for more than a year have expanded since launch. 2016 was a big year for bike share, with BikeTown in Portland and Los Angeles’ Metro Bike Share going live on the west coast. 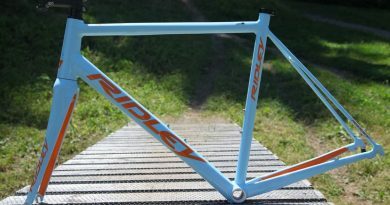 Taking these into account, the U.S. added some 30% in available volume, a trend that looks set to continue in 2017.
those which build in electronics as part of the bike as opposed to the dock – made up the vast majority of new openings in 2016. while 31% of all systems used smart bike technology in 2016, only 13% of all bike share bikes in circulation were smart bikes, adds NACTO. Trip duration varies dependent on user demographic, with leisure users tending to hand on to the bike for longer – up to 25 minutes on average. Regular users, more likely to be commuters, hold on to the bike for an average of 12 minutes. Accessibility to people with low incomes has become a focal point for many systems, with 24% of schemes now offering a discount program. These generally rely on income thresholds or living in affordable housing as a criteria for subsidy. 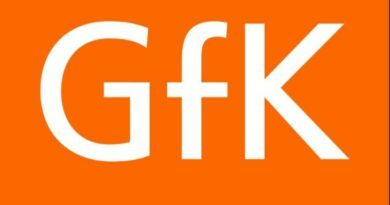 Such schemes have been demonstrated to have a measurable impact. NACTO uses Philadelphia as a best practice case. in April 2016, Indego launched an innovative “Access Pass” program, which provides $5 per month memberships to Philadelphians who use EBT cards payable with either a credit/debit card or cash. As a result, the percentage of new passholders with a household income under $35,000 using the system jumped from 27% in 2015 to 44% in 2016. Following Philadelphia’s success, a number of cities are looking to develop EBT-verified discount options. Read the full report on NACTO here.